Your sustaining gift will renew each month until you decide to cancel it. Your monthly gift will provide vital funds that will support the United Against Poverty mission of improving the lives of people affected by poverty. Your first "Monthly Gift" donation will be processed today, 04/21/2019, and will recur on the 21 of every month until cancelled. CVV * What Is This? Where Can I Find My CVV Number? Matching Gift: Multiply your impact by asking your human resources department if they offer Matching Gift opportunities. Memorial Gift: Celebrate the life of a friend or loved one by making a gift in their honor or in their memory. Monthly Gift: Help sustain our programs year-round by making a recurring gift. Planned Gift: Leave a legacy by including UP Orlando in your estate plans. Stock Transfer Gift: Take advantage of tax savings by making a contribution via stock transfer. Gift Cards and Event Tickets: Help congratulate our STEP students for graduating and gaining employment, and help incetivise our members to complete a step on their Crisis Care Plans. Please contact Caitlyn Beersdorf at: (407) 650-0774 ext. 1730 to cancel/modify your monthly donation or to inquire about additional information! 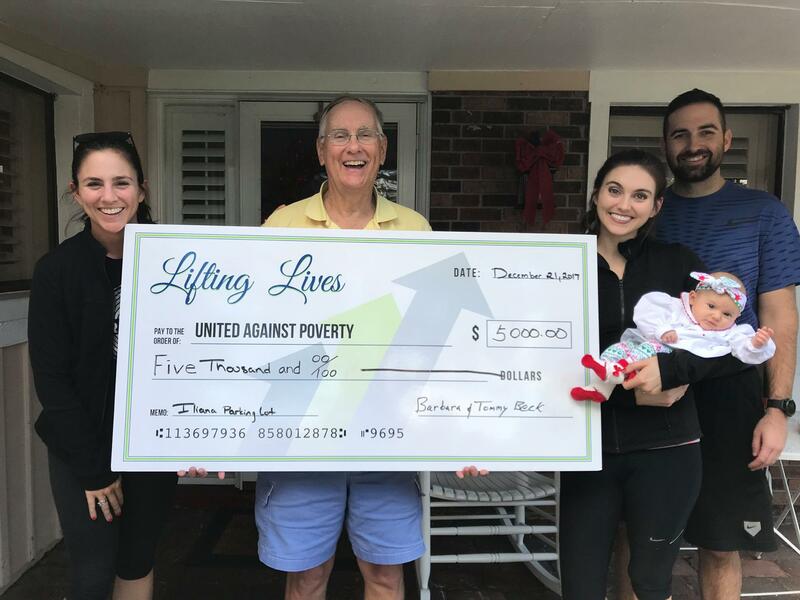 United Against Poverty is a registered 501c3 nonprofit with campuses in Indian River County, Orlando, and St. Lucie County Florida. Our mission is to serve those in poverty by providing crisis care, case management, transformative education, food and household subsidy, employment training and active referrals to other collaborative social service providers.